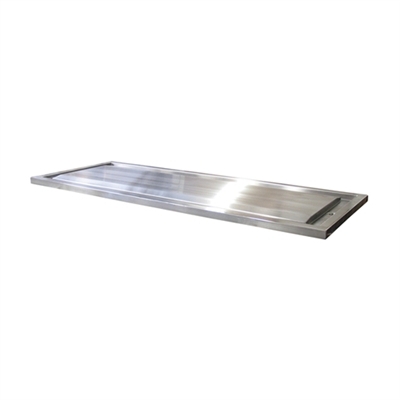 The Model T3615 Stainless Steel Autopsy Tray by Mortech Manufacturing Inc. features a perimeter trough which allows fluid to flow away from the body and down the sides of the platform toward the drain. A drain plug comes standard to prevent fluid loss in transport or while racking and stored. It is fabricated from 14 gauge, 304 stainless steel with a No. 4 finish. All exposed welds are ground and polished to match adjoining surfaces. 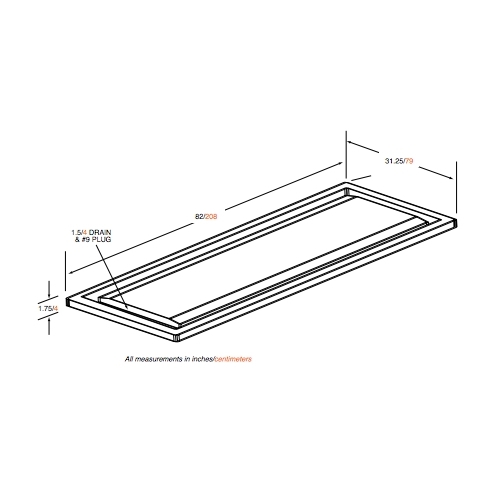 Our website is unable to accurately calculate shipping rates for Mortech's products, so the $325.00 per unit shipping rate that appears during the checkout process for this product is only a "worst case scenario" estimate. Upon shipment of this product, your credit card will only be charged the actual shipping rate as provided by Mortech. If you need to know the actual shipping rate for this product before placing an order, please call us and we will be happy to get that information for you.